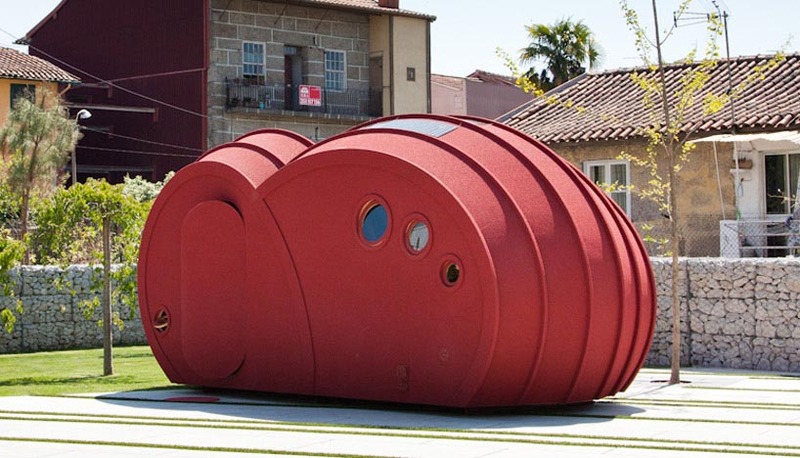 This cloud-shaped, cocoon-like shelter is the design of Portuguese architect Gabriela Gomes. 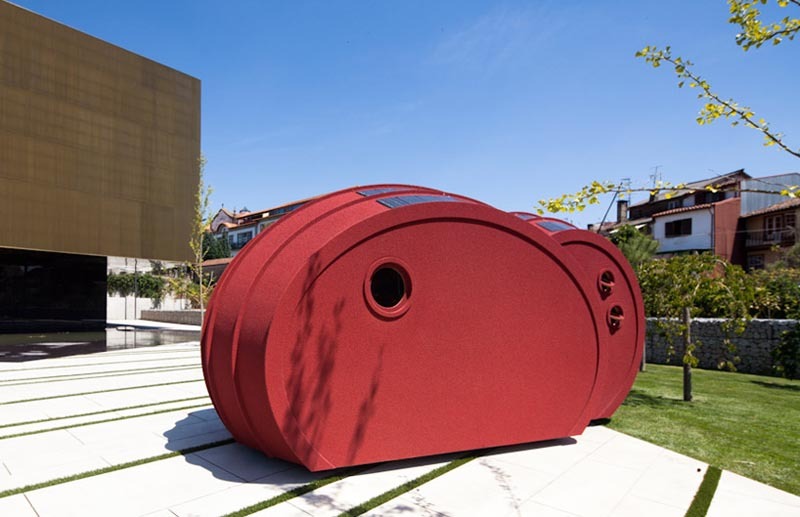 The bright red exterior is made of a unique non-polluting, recycled cork, with a minimalist interior that consists of a double room with bathroom using ecological materials in its construction and solar paneling for energy as well as LED lighting, keeping with its sustainable goal. The mobile habitat—that goes by the name Shelter ByGG—seems to be taking reservations and will be delivered via flatbed truck to a series of locations. You can make your reservations here. Photos by Joao Morgado and renderings courtesy of the architect. Hello! i want to buy this house.